Gorgeous 2 bedroom and 2 bath newly built apartment located in premier gated golf community. Gleaming hardwood flooring throughout. 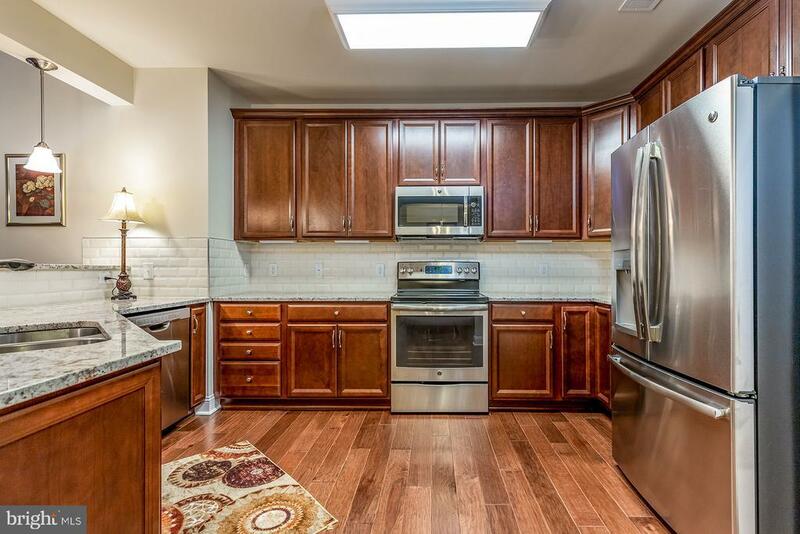 Gourmet kitchen with stainless steel appliances, granite countertops, and breakfast bar. Separate formal dining room with elegant lighting. Inviting living room with vaulted ceilings and sliding glass door access to the back balcony. Spacious owner~s suite with beautiful en suite. Additional bedroom and full bath. Resort amenities including; tennis courts, swimming pools, dog park, walking trails, golf, and club house. Excellent commuter access.